After 250 miles on the open road we reach the Hands of the Fallen Cosmonaut in the Alabama Hills just in time for the moonrise. Amidst the Alabama Hills night turns to day as the sun replaces the moon. The silhouettes from the Hands of the Fallen Cosmonaut sit juxtaposed against the morning sky. A stroll through the boulder field provides a view of Mt. Whitney at first light. 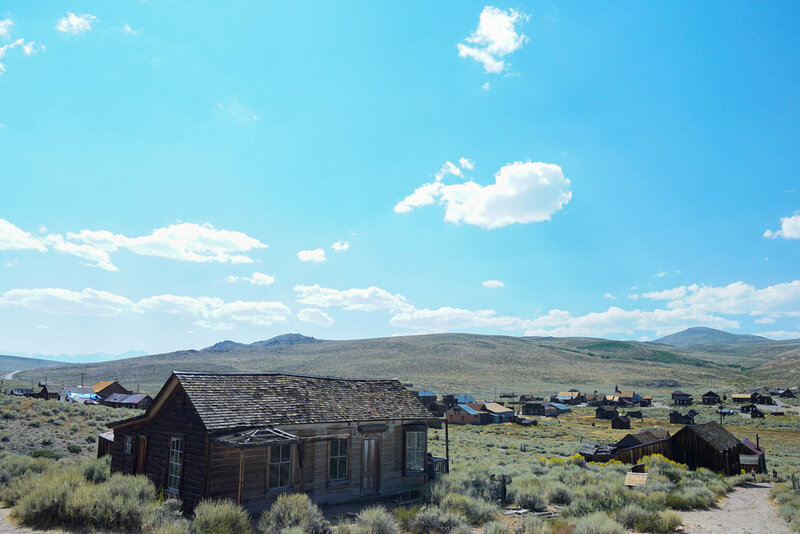 100 miles north we land in the notorious Ghost Town of Bodie. Bottoms up! 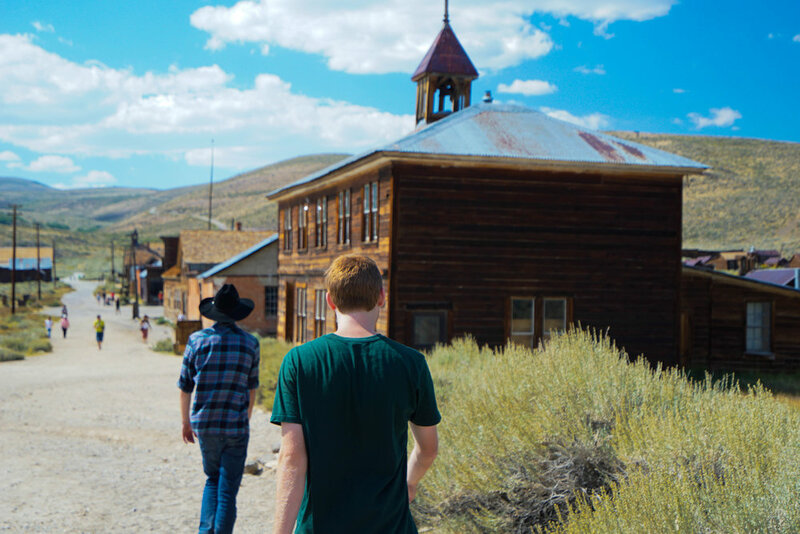 Littered with buildings of the old mining boomtown, Bodie serves as the most well-preserved gold rush town. Cart surfing. Mining was the main occupation, but there were writers, shop keepers, and plenty of prostitutes in town too. Bodie was a town known for bad men & violence. It had more saloons than churches, & more murders than births. Well Bodie, the Bad Men are back. 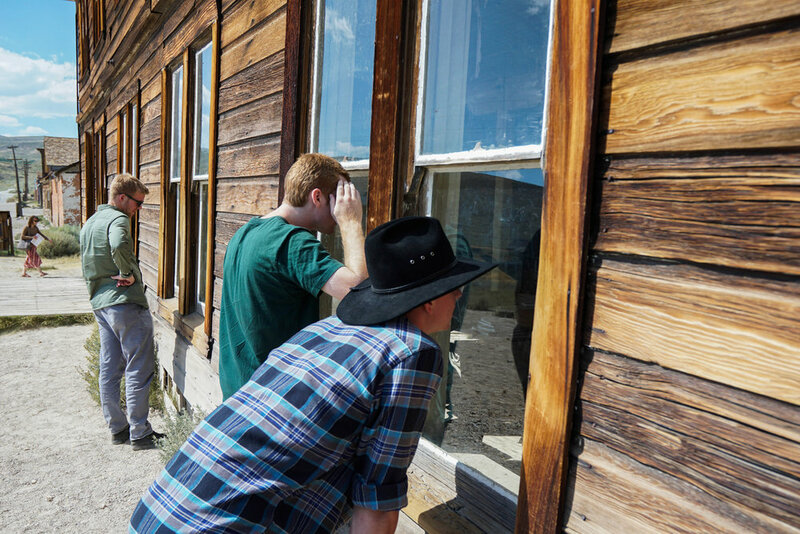 In the Spirit of the Bodie Badmen, we bypass a barbed wire fence to sneak in for a closer look. ...only to find the Bodie Snitch & the deputies are on our tails. 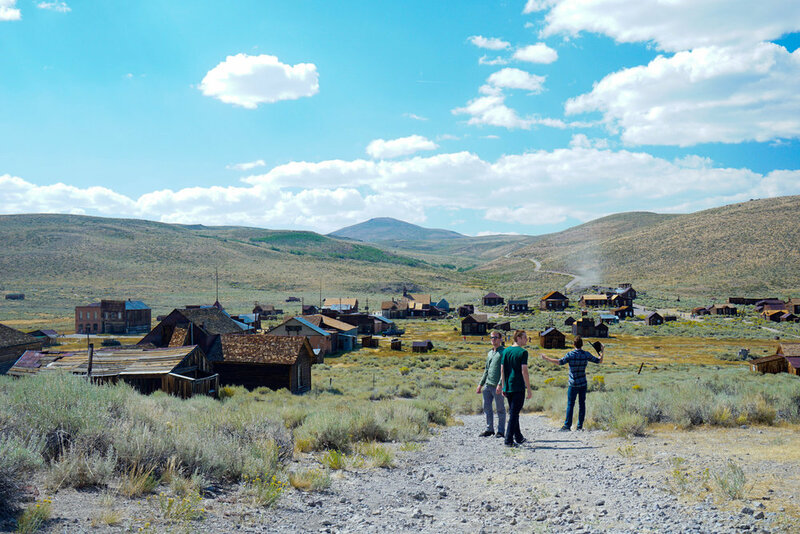 Most crimes in Bodie went unpunished because witnesses were usually too drunk to remember the details. We weren't so lucky. 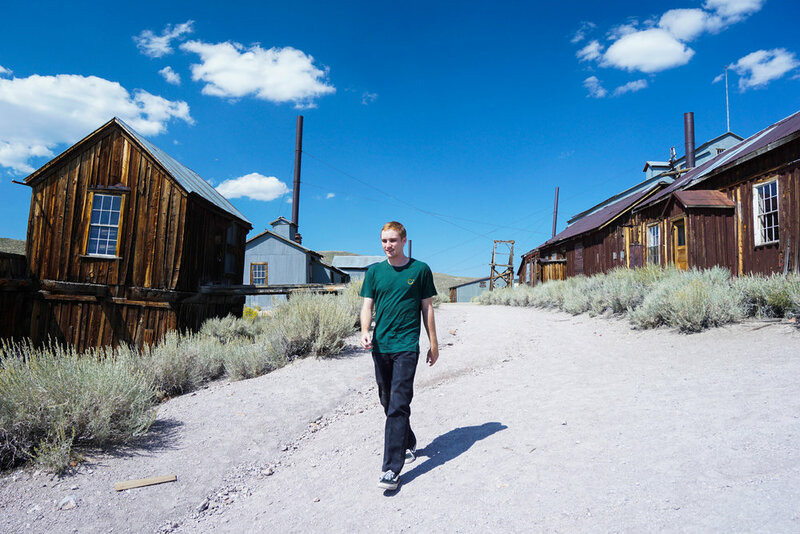 With the promise of no further fence hopping the deputies agree to let us continue our hike through the ghost town. 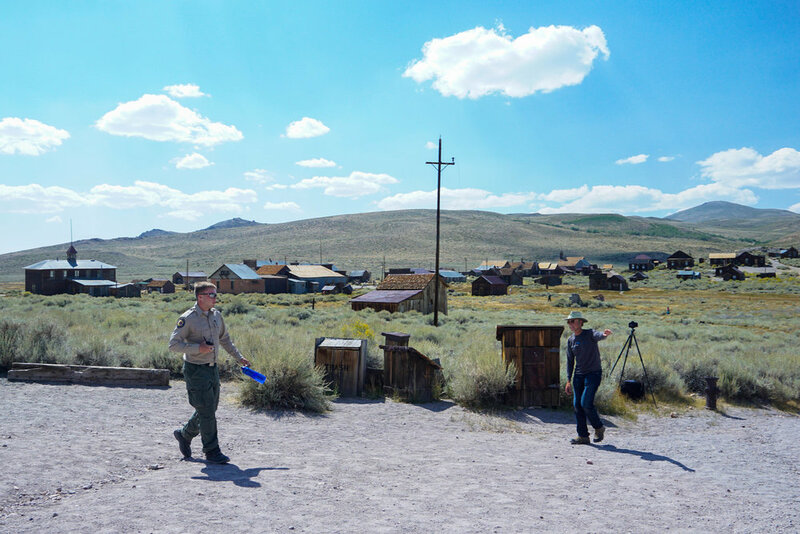 Once known as the City in the Sky, Bodie's cloud-dotted blue skies have you feeling like a cowboy in the hay day of the Wild West. Refraining from mischief we act like civilized folk & take in the scenery. Main street boasts some of the most well-preserved buildings. In the ole' days it filled with horse drawn wagons & thirsty miners seeking to unwind after the long work day. Leaning in for a closer look we inspect the decaying remnants of the school house. What's left of a globe map. The last thing we saw before Sheriff Ranger kicked us out of the ghost town. Apparently he wasn't as forgiving of our prior fence hopping as his deputy rangers. 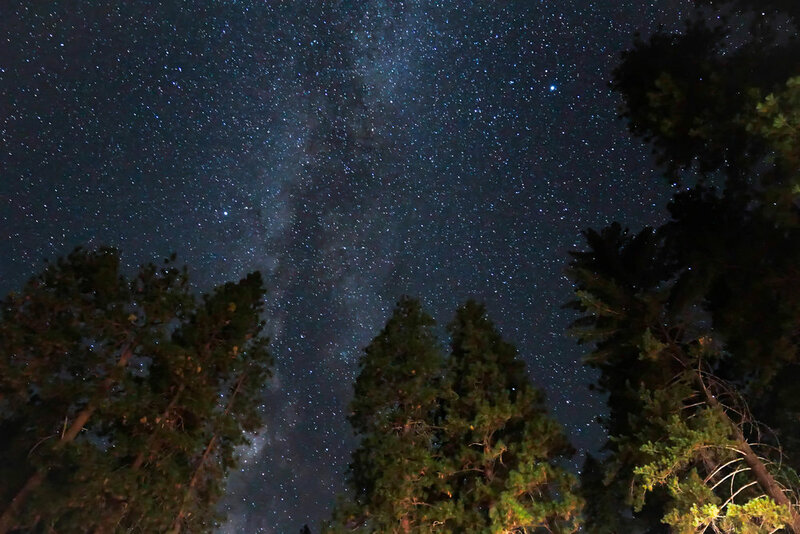 After exiting Bodie, we find ourselves beneath the towering pines of Yosemite. 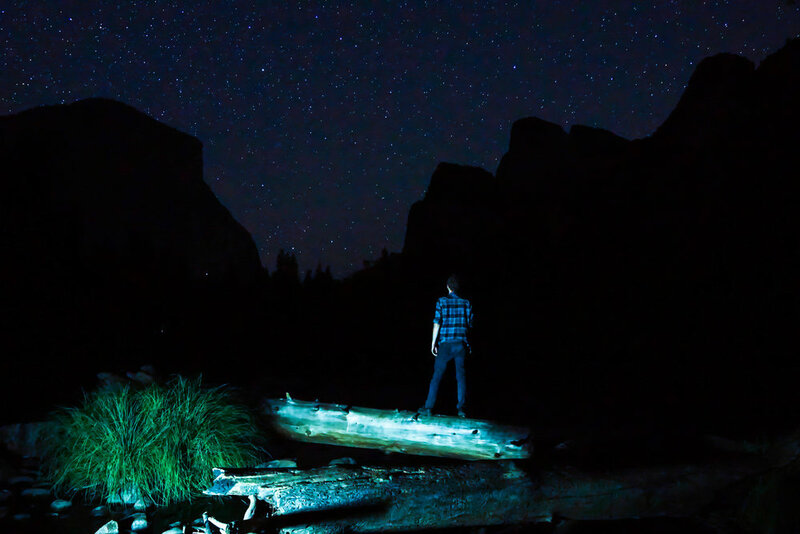 A night hike through the valley offers some of the most spectacular scenery on the planet. 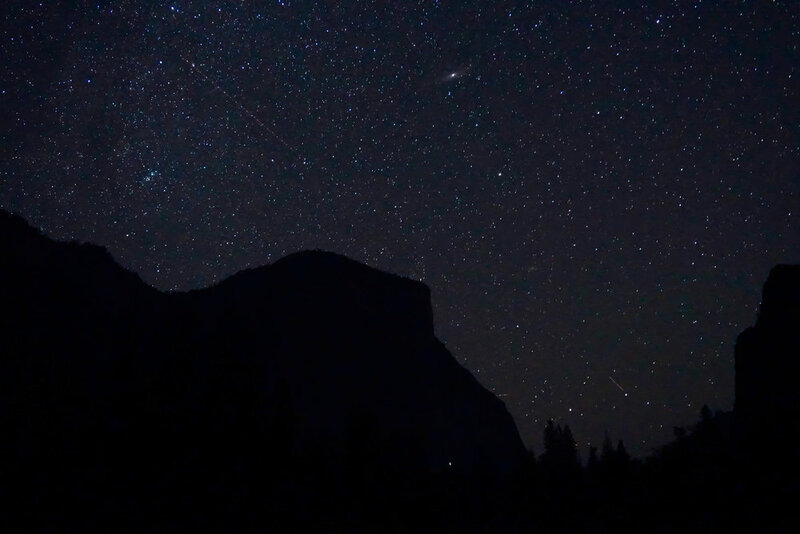 Rising nearly 3,000 feet above the valley floor, El Capitan watches over the Yosemite's sleepy travelers as our misadventure comes to a close.